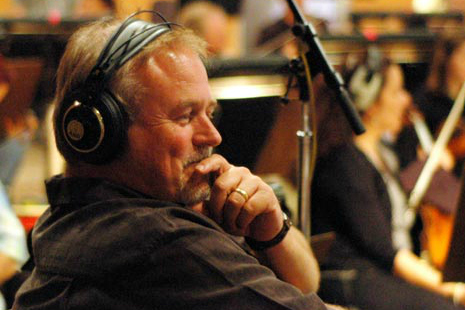 ​Don Harper is a Los Angeles-based film composer, songwriter, conductor, and arranger whose credits include films such as The Guardian, National Treasure, Training Day, Armageddon, The Rock, Twister, Broken Arrow, Assassins, and Speed. Harper composed and conducted the music for Disney's direct-to-video releases The Lion King 1½, Tarzan & Jane, and Atlantis: Milo's Return. He also created the scores for the television series' The Magnificent Seven and The Twilight Zone, and the TV movie Houdini. Harper's first CD, Dream and Variations, is a hybrid of jazz, Americana, rock, spirituals, blues, and bluegrass. It is a sweeping assemblage of vignettes, recorded with a 70-piece orchestra live on the Eastwood Stage at Warner Bros. in the Fall of 2006. The production included a 32-member choir, session musician Dan Higgins on soprano saxophone, jazz pianist Russell Ferrante of The Yellowjackets, notable string players Dave Stone (upright bass), Sid Page (violin), and Steve Erdody (cello). Trevor Rabin, composer and former member of Yes, played guitar. Dream and Variations includes the song "End of Days", featuring vocals by Lisbeth Scott, which Harper and lyricist Tom Child wrote in response to the devastation of Hurricane Katrina. He has also recorded the soundtrack for Tokyo DisneySea's version of Fantasmic, as well as, a song for Rivers of Light. In 2014 he opened Sessions at the loft in camarillo, CA for producing and showcasing live events. 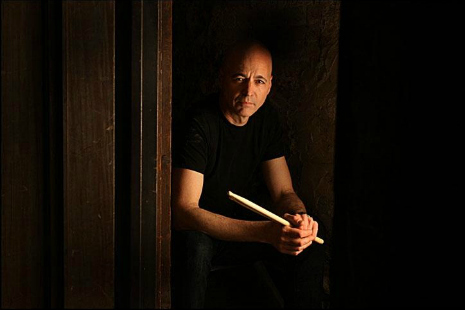 ​Sammy Merendino is an in-demand session drummer/programmer in NYC. He has recorded and/or performed with many of the worlds top artists, including Cameo, Michael Jackson, Billy Joel, Cyndi Lauper, Foreigner, and many others. Born in Akron Ohio, Sammy started playing drums at 12 years old, studying with the area's finest teachers. He quickly progressed and played in various bands, drum & bugle corps, and college orchestras. In 1980, a call from a friend inviting him to audition with Chubby Checker led him to New York City. He landed the gig and toured with the band for 18 months. After leaving in the summer of '82, Sammy focused on the NYC scene, becoming a fixture on Bleeker Street. A chance meeting with some musicians led to a recording session at Park South Studios, which led to an album with the Weather Girls. While in the studio, Larry Blackmon (of Cameo) heard Sammy's drum sound and invited him to play on their current album (Single Life). A European tour followed, then into the studio to record Word Up. The success of that album led to a short stint with Hall & Oates, then back into the session world, including albums with Pat Metheny, Ziggy Marley, Sophie B. Hawkins, Anita Baker, Joan Osborne, and others. Sammy is also part of Cyndi Lauper's recording and touring band. Recent gigs have included Carnegie Hall, Madison Square Garden, Girls with Guitars (Lifetime Network), and 4th of July with the Boston Pops. Most of 2002 was spent on the road as opening act for the Cher Farewell Tour. Summer of 2003 was with Cyndi on a double bill with Meatloaf, followed by the recording of Cyndi's new album At Last. Late fall included a tour through Europe and the U.S. in support of the album, as well as numerous television appearances on Late Night with David Letterman, GMA, The Ellen Degeneres Show, Last Call with Carson Daly, and others. 2004 includes a new live DVD shot in NYC, as well as tours in the U.S., Europe, Australia and Japan. Sammy has also played on over 1000 commercials and television themes including Monday Night Football with Hank Williams Jr., Nightline, World News Tonight, and ABC Golf. Sonor Drums, Paiste Cymbals, Vic Firth Sticks, Evans Drumheads, Roland, Miktek, PureSound, Cympad, Factory Metal Percussion, DrumDial, Dangerous Music and Drum Wallet. Sean Redding opened THE RECORDING FARM IN LATE SUMMER 2009 IN SOUTHERN CALIFORNIA’S, TEMECULA VALLEY. the Recording Farm is a state of the art facility with a comfortable and unique atmosphere. Sean’s educational accomplishments include Menlo College in Palo Alto and The Los Angeles Recording School, Hollywood, Ca. Nestled in Temecula Valley’s Wine Country, the Recording Farm has an old world feel and an authentic and grounded vibe. musicians of all genres create and then relax under the decades old California Pepper trees. The Recording Farm offers state of the art equipment with the peacefulness and ambiance of a retreat. SEAN DEDICATES HIS LIFE TO FAMILY AND MUSIC, he IS THE SON OF THE LATE JHERI REDDING, FOUNDER OF NEXXUS, REDKEN AND JHIRMACK HAIR CARE PRODUCTS. he lives on his working farm, Namaste Farms, with his wife Natalie and 5 children.